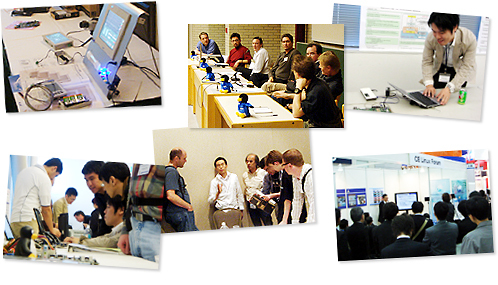 Many activities of the CE Linux Forum, such as our conferences, our embedded wiki, and our contract work proposals and bidding, are open to the public. However, if you would like to become a member of the forum, to participate in our Steering Committee, Architecture Group, or one of our technical working groups, please join the Linux Foundation, then send an e-mail to <office@celinuxforum.org>. CE Linux Forum recommends looking into those web sites which provide tremendous amounts of valuable information. Video archive of CELF technical sessions. Linux® is a registered trademark owned by Linus Torvalds .